WTA's world no. 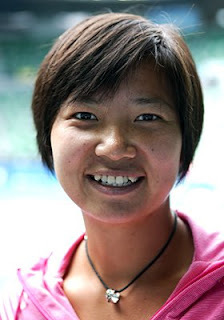 123, Meng Yuan who resides in Hong Kong, has received a wildcard into the main draw of the Australian Open, her favourite tournament. She has posted her best results here – second round appearances in both 2006 and 2008. We didn't hear much about her last year as she was plagued by illnesses. Fever, stomach problems and allergies were the main culprits, and Yuan was forced to take two-and-a-half months off to recover. Now, fully rested and with the all-clear from doctors, she is back hitting the court starting the new year in high spirits. Last year, Meng battled through qualifying before her defeat to Serena Williams. This year, she was handed a wildcard as part of an exchange agreement between Tennis Australia and the Asian Tennis Federation. The initiative has also awarded Denis Istomin - the other highest Asian player not yet in the main draw – a wildcard as part of a move to promote tennis in Asia. “Every time I come here, I’m feeling very good," Meng said. "I have fans here. I don’t know where they are coming from,” she laughs. “I have Chinese fans and last year there were more Australian boys and girls. Off the court, Meng likes to explore the city, and lists Chinatown as her top destination. Meng travelled here with her coach Yu Fung Ming. The pair have worked on strengthening Meng’s body and tailoring her training program that shaped her current tip-top condition. “I wanted to change my body because last year I got a lot of fever," she explained. Psychologically, Meng is mentally ready especially by starting the year fully fit at a tournament where she feels at home. “First to play here is good, my thinking is better, body is better. I am positive about this year,” she said. So will she be able to make it past the second round this year?